The following rules govern your use of the Sampson Community College web site. The rules set forth herein apply to all materials, online communications and other information that is or becomes available on this web site. “Information”. BY ACCESSING THIS WEB SITE, YOU SPECIFICALLY AGREE TO ABIDE BY THESE RULES AND ANY MODIFICATIONS THERETO. This web site is an online information exchange service for use by Sampson Community College (hereafter known as “SCC”), its employees and the general public. You shall not post, publish, transmit, reproduce, distribute or in any way use or exploit any Information for commercial purposes or otherwise use the Information in a manner that is inconsistent with these rules and regulations. In connection with the use of this web site, you shall abide by all applicable federal, state and local laws, including those pertaining to such areas as libel, slander, defamation, trade libel, product disparagement, harassment, invasion of privacy, tort, obscenity, indecency, and copyright or trademark infringement (“Applicable Law”) and all policies and procedures of SCC. The Information available on this web site may include intellectual property that is protected under the copyright, trademark and other intellectual property laws of the United States and/or other countries (“Intellectual Property Laws”). Such Intellectual Property Laws generally prohibit the unauthorized reproduction, distribution or exhibition of all text, photographic and graphic (art and electronic) images, music, sound samplings and other protected materials. The violation of applicable Intellectual Property Laws may give rise to civil and/or criminal penalties. You are cautioned that any online communications may not be confidential and that you do not have a reasonable expectation of privacy in any online communications. SCC employees and agents may, in the course of performing their regular duties, access electronic communications and information for security, technical or operational purposes. You should be aware that federal postal regulations do not protect electronic mail and that SCC may disclose any communications to the extent permitted or required by law. You shall not post, transmit or make available in any way through this web site any software or other materials which contain a computer virus, trojan horse, timebomb, worm or other rogue programming (“Rogue Programming”). SCC has no obligation to detect the presence of any Rogue Programming. Any downloading of software or other materials or any other use of the Information on this web site is at your risk, and you are advised to take adequate precautions to minimize any loss to your system caused by Rogue Programming, including use of anti-virus programs and proper backup of files. You are responsible for the content of any Information you put on or post to this web site. SCC has no obligation to, and does not in the normal course, monitor or control any Information that is or becomes available on this web site. SCC reserves the right to review any Information that is or becomes available on this web site. SCC reserves the right to refuse to post or to remove any Information that is, in SCC’s sole discretion, unacceptable, undesirable or in violation of these terms, SCC policies or procedures or Applicable Law. However, SCC has no obligation to exercise such reservation of rights by SCC. This web site is provided on an “as is” basis without warranties of any kind, either express or implied, including without limitation warranties of title, noninfringement, or implied warranties of merchantability or fitness for a particular purpose. SCC does not warrant that any information is complete or accurate, that this web site will be uninterrupted or error free or that any information is free of rogue programming. Sampson Community College uses Google Translate to provide language translations of its content. Google Translate is a free, automated service that relies on data and technology to provide its translations. The Google Translate feature is provided for informational purposes only. Translations cannot be guaranteed as exact or without the inclusion of incorrect or inappropriate language. Google Translate is a third-party service and site users will be leaving SCC’s website to utilize translated content. As such, Sampson Community College cannot guarantee or claim responsibility for the accuracy, reliability, or performance of this service nor the limitations provided by this service, such as the inability to translate specific files like pdfs and graphic (e.g. .jpgs, .gifs, etc.). All Sampson Community College content is filtered through Google Translate which may result in unexpected and unpredictable degradation of portions of text, images and the general appearance on translated pages. Google Translate may maintain unique privacy and use policies. These policies are not controlled by Sampson Community College and are not associated with Sampson Community College privacy and use policies. Users should consult the original English content on Sampson Community College’s website if there are any questions about the translated content. Sampson Community College provides Google Translate as an online tool for its users, but Sampson Community College does not directly endorse the website or imply that it is the only solution to users. All site visitors may choose to use similar tools for their translation needs. Any individuals or parties that use Sampson Community College content in translated form, whether by Google Translate or by any other translation services, do so at their own risk.  Sampson Community College is not responsible for any damages or issues of translated content not officially sanctioned and approved by the agency. Under no circumstances, including negligence, shall SCC be liable for any direct, indirect, incidental, special, punitive or consequential damages that may result from the use or inability to use this web site , including without limitation use of or reliance on information available on this web site , interruptions, errors, defects, mistakes, omissions, deletions of files, delays in operation or transmission, nondelivery of information, disclosure of communications, or any other failure of performance. By accessing this website, you hereby release and waive any and all claims and/or liability against SCC arising from or in connection with your use of this web site. You also agree to defend, indemnify and hold harmless, SCC from and against, any and all claims or liability, including costs and attorney’s fees, arising from or in connection with your use of this web site or failure to abide by these terms, any SCC policy, and/or applicable law. These rules may be modified by SCC from time to time and such modifications will be binding on you when posted to this website. This document describes Sampson Community College’s (hereafter referred to as SCC) policy regarding information received about you during visits to our web site. The amount and type of information received depends on how you use the site. The SCC web site contains information regarding SCC and its education and training services. All pricing information referred to in this site is in U.S. dollars. SCC reserves the right to modify the information contained in this site at any time without notice. While SCC makes all reasonable efforts to insure that all material on this site is correct, accuracy cannot be guaranteed and SCC does not assume any responsibility for the accuracy, completeness or authenticity of any information contained in this site. This site and all information and materials contained herein, is provided to you “as is” without warranty of any kind. This site may contain hypertext links to other World Wide Web sites which are completely independent of this site. SCC makes no representation or warranty as to the accuracy, completeness or authenticity of the information contained in any such hypertext link, and any hypertext link to another person or entity shall not in any manner be construed as endorsement by SCC of such person’s or entity’s World Wide Web site, products or services. Your linking to any other off-site pages or other sites is at your own risk. Your confidential use of this site cannot be guaranteed by SCC. SCC shall not be responsible for any harm that you or any person may suffer as a result of a breach of confidentiality in respect to your use of this site or any information you transmitted to this site. You can visit SCC’s web site to access education/training service information or use our online tools (online courses, etc.) without telling us who you are and without revealing any personal information. The only information we collect and store during normal web site usage is the web site that referred you to us, the pages you request and the date and time of those requests. We use this information to generate statistics and measure site activity to improve the usefulness of customer visits. During normal web site usage, we do not collect or store personally identifiable information such as name, mailing address, email address, phone number or social security. There are instances where SCC requests personally identifiable information to provide the web site visitor a service or correspondence (mailed class schedules and brochures). This information, such as name, mailing address, email address, type of request and possibly additional information, is collected and stored in a manner appropriate to the nature of the data by SCC and is used to fulfill your request. SCC makes every effort to insure the secure collection and transmission of sensitive user information using industry accepted data collection and encryption methodologies such as SSL (Secure Sockets Layer). The information you provide is used by SCC to improve the services we provide you. It is never provided to any other company for that company’s independent use.